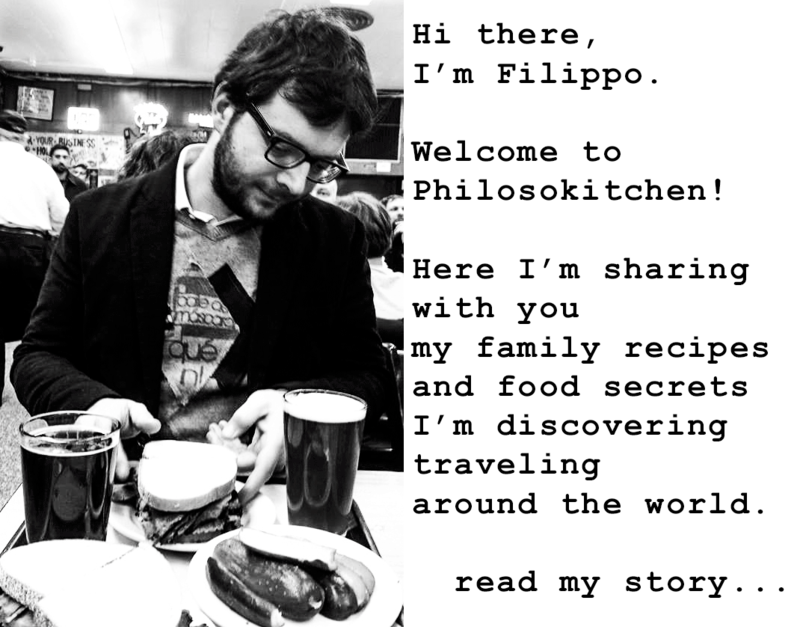 You are here: Home / Food Story / FETTUCCINE ALFREDO, an Italian recipe which no Italian knows! It’s a dish for tourists, which is not served by any respectable Italian grandmother, or mother, or aunt. Have you regain yourself from the shock? Or have you already changed the page with a peevish gesture? The first time I came to the United States, some American friends asked me what was my thought about Fettuccine Alfredo. What did I think? Absolutely nothing! I didn’t know this recipe and don’t know anyone among my friends and my family, who has the faintest idea about what it is! In the following days, I started to visit some Italian restaurants and, from New York to San Francisco, I noticed that the Fettucine Alfredo has been a must-to-cook for any chef who wanted to consider himself as an expert in Italian cuisine. I Put aside any skepticism, I did some research, and I found out an interesting story about this famous “Italian” dish. On the contrary of my mind, “Fettuccine Alfredo” is indeed an Italian dish. The original Alfredo’s recipe requires only butter and Parmigiano Reggiano cheese. Here we are! So, I know this recipe! In Italy we call it simply pasta butter and Parmigiano. It is served without pomposity when someone is unwell or sick. The legend says that Alfredo Di Lelio, chef and owner of a restaurant homonymous in Rome, he had prepared this recipe for his pregnant wife, an evening of the 20s. She was unwell and need something easy and light to eat. By coincidence, the same night Mary Pickford and Douglas Fairbanks were guests of the restaurant. Alfredo had been the great idea to serve this pasta tossed with butter and cheese to the two famous American actors as well. The couple went crazy for the Alfredo’s Fettuccine, and went back to eating them again, and again. Some contemporary versions of the famous Fettuccine Alfredo, include chicken and heavy cream. This is another very difficult thing to see in Italy: an Italian that toss the pasta with chicken! The point that mostly shock a resident of Rome, only thinking to taste the Fettuccine Alfredo, is the likeness of this recipe with a must-to-eat of the traditional Roman cuisine; The Cacio e Pepe. 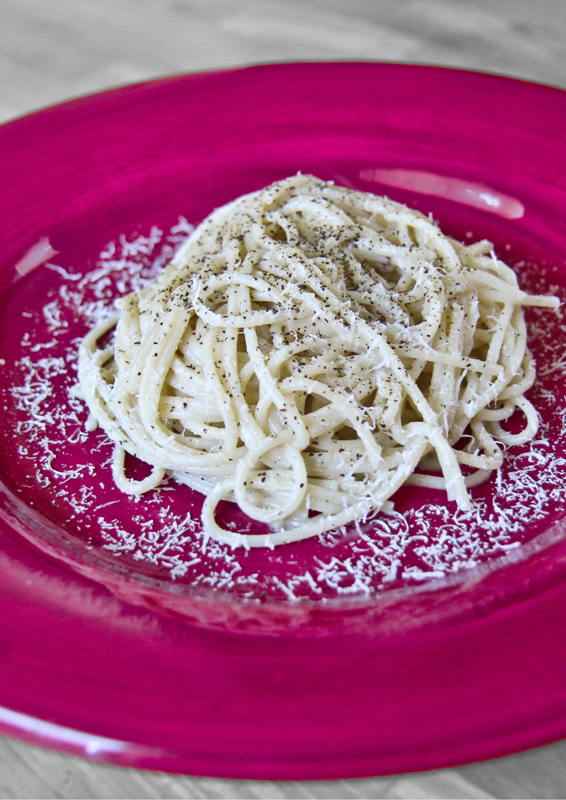 The Cacio e Pepe are creamy and delicious spaghetti or Tonnarelli (a thicker traditional kind of spaghetti) tossed with Pecorino Romano, a few tablespoons of cooking water and plenty of black pepper coarsely grounded. No butter, no heavy cream, nothing more that very quality Pecorino Romano cheese. The butter and Parmigiano Reggiano, used very little in the Roman cuisine, are absolutely forbidden! Still eating Fettuccine Alfredo is it makes a sense? Personally, my answer is: of course, if you like, you your taste buds are the sole judge! But, be aware that it is a recipe that does not belong to the Italian tradition, but is proudly Italian-American; very famous? Yes, but not in Italy! Thanks to your blog, I just learned that my husband grew up eating pecorino romano cheese instead of parmegiano reggiano. So now I need to try this cheese! and let me know your opinion!